Windows 10 insider build 14971 is now available to fast ring insiders. 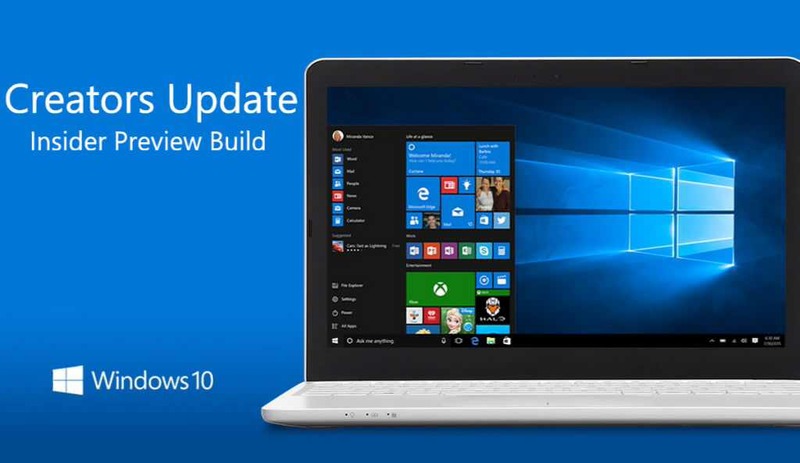 Previously, the company released Windows 10 PC build 14965 for insiders. Check out what’s fixed in this build. improved reliability when using the protractor and inking in Sketchpad. updated some of our desktop wizards (including “map a network drive” and “extract from zip”) to now be proportionally sized when moved across monitors. fixed an issue where Magnifier’s keyboard shortcuts sometimes wouldn’t work on the Lock screen. fixed an issue that could result in sometimes not being able to completely remove files in the Windows.old folder using Disk Cleanup. enabled OAuth support for Yahoo Mail accounts. This will improve sync reliability for those accounts, and provide a more secure experience in the Outlook Mail app. fixed an issue where trying to shut down the PC while certain Device Manager dialog boxes were open would result in the PC being stuck at the “Restarting…” screen. fixed an issue where, as closing multiple tabs with middle click in Microsoft Edge, the width of the tabs might change, resulting in potentially unexpectedly closing the wrong tab. fixed an issue where the copy link option when right-clicking a hyperlink in Microsoft Edge wasn’t work. fixed an issue where, if you changed the size of the Microsoft Edge window, and then closed the app by closing the final tab, the next time Microsoft Edge is launched it would once again be the default size, rather than retaining the preferred window size. fixed an issue where pinned tabs in Microsoft Edge were not being restored. made a number of translation improvements, including for Chinese speakers fixing a translation error in the dialog that appears when installing multiple fonts at once, as well as one in Settings > System > Battery. If you see any other translations that aren’t as you’d expect, please log feedback – we’re listening! fixed an issue where, if you already hand a notification expanded in the Action Center, clicking the chevron to expand a second notification would result in it expanding then immediately closing. fixed an issue where preferred Start menu width might not be preserved after rebooting.